Qatar became a British protectorate in 1916. The Foreign Office first posted a political agent to Doha in 1949, soon after it assumed responsibility for the Gulf states from the Government of India. Qatar became independent in 1971, at which time the status of the mission was raised to an embassy. In 1950, the Sheikh offered a small site, that came to be known as the Wadi site, near the seashore on which an embassy could be built. 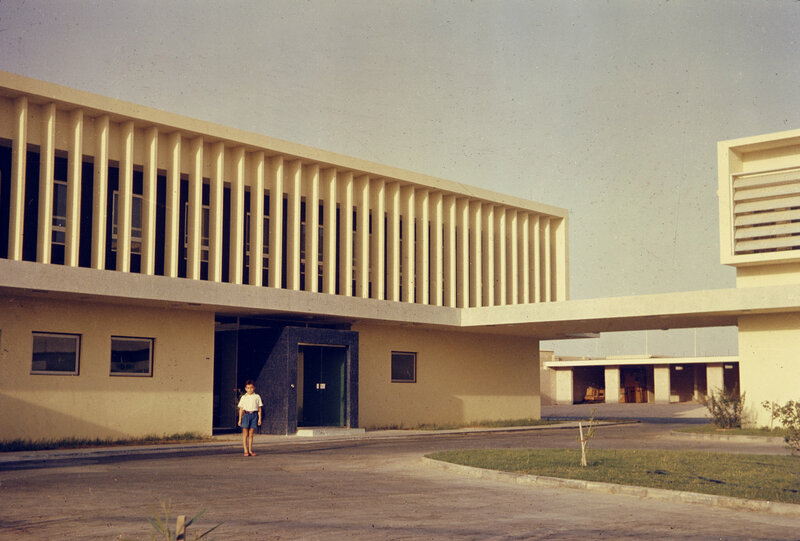 But the offer was never taken up, and accommodation for the next fifteen years was leased instead, including in a traditional Qatari building, known as the Sheikh Ahmed building. By the late 1950s, this accommodation was too awkward and ill-located for the longer term, and a purpose-built building was essential. 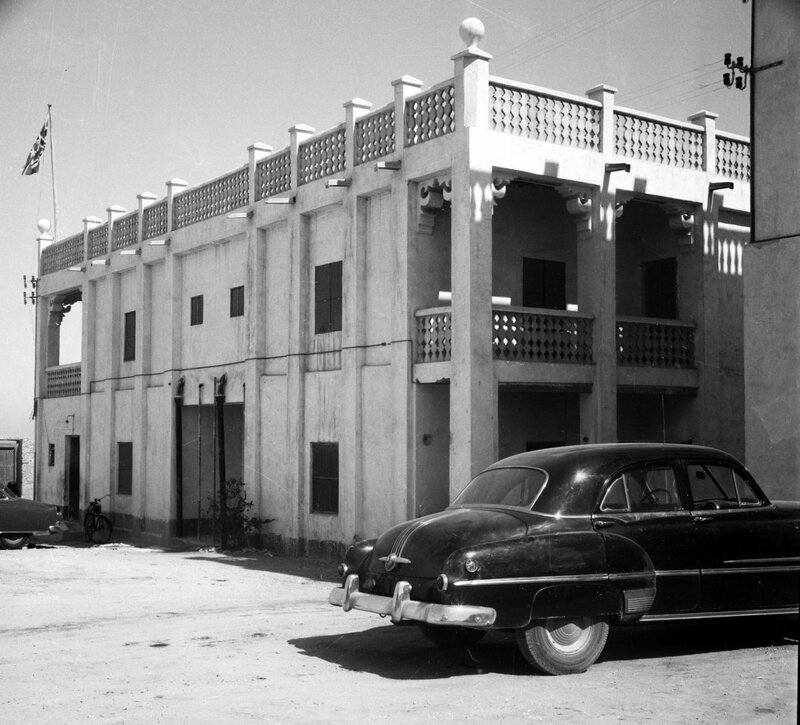 The Sheikh was prepared in 1960 for the agency to develop a small site for itself within the government hospital compound on Fort Road, in Rumeila. The Ministry of Works put a financial limit on the project of £50,000, including £7,500 for the site. The Foreign Office suggested leaving the visa section in town so as to make room for a residence above the offices on the small site. The first Ministry scheme, by Charles Kidby, a senior Ministry of Works architect, provided for this, with access to the residence flat by a freestanding stair. 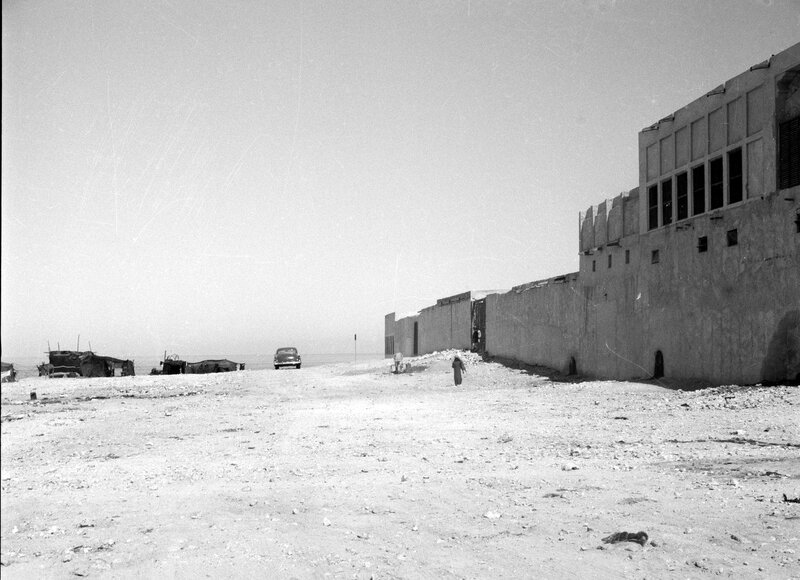 Later in 1960, with oil revenues sharply increasing, the succeeding Sheikh offered a larger plot of about an acre, also on Fort Road, free of charge and twice the size of the one that was about to be bought. This offer made possible a proper compound scheme, with separate buildings for office, residence and staff flats. The Treasury was brought to agree an expenditure of £90,000 for the offices and residence. Kidby designed a new scheme, with scope for more offices and the staff flats in the future. Tenders were received in late-1962 and construction was completed in 1964. A swimming pool was built in 1970. The second stage of buildings never transpired, and by the mid-1990s additional offices were being leased in two other buildings: Commercial section in Toyota Towers on the C Ring Road near the airport, and Visa section in Al Saad Street. 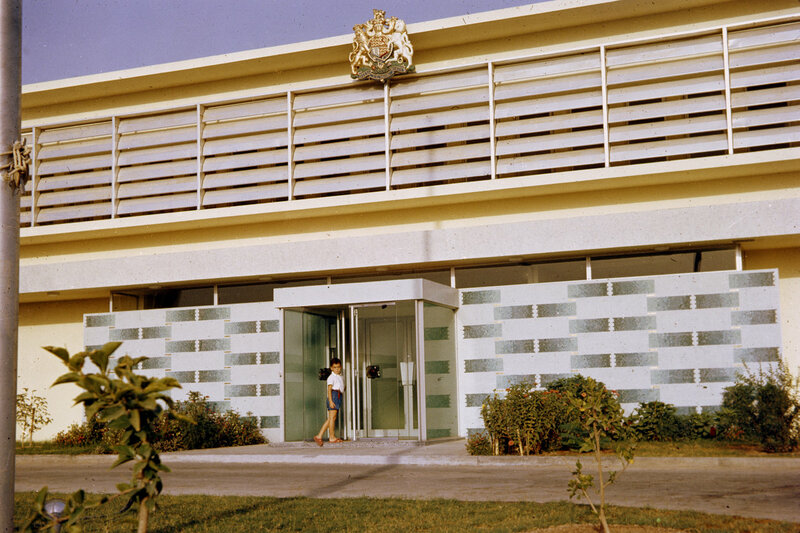 Secondary entrance to offices, with covered walkway to residence, 1968.